It still does feel actually cold sometimes though, and I’m going to make the most of it and enjoy all my favourite winter dishes and lots of hot drinks. 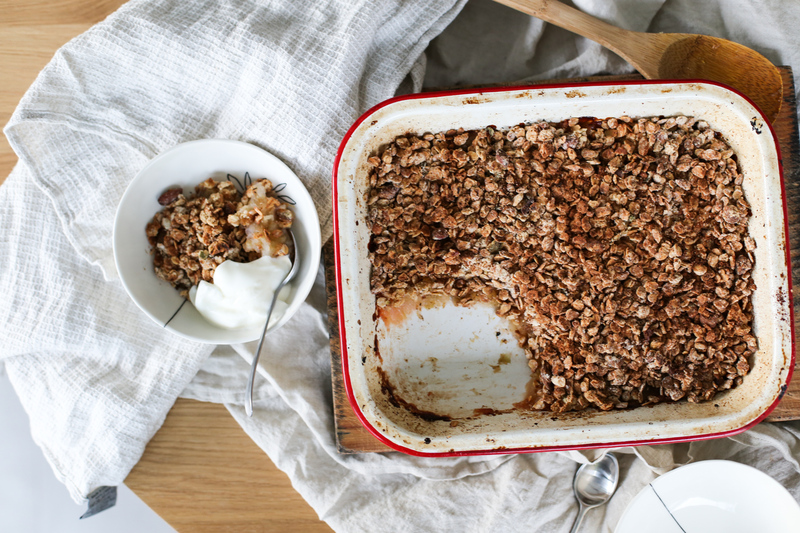 I made this crumble for Table of Plenty, their muesli was made for this. I love making my own muesli but it was so handy to have their box ready to go, particularly during uni when every hour in the kitchen makes me feel slightly guilty because I’m not studying, sigh #williteverbeover. 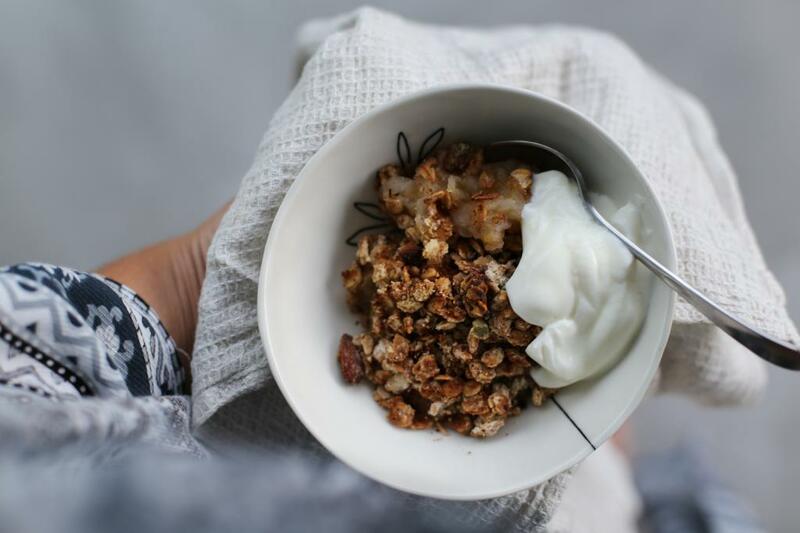 I love the beautiful crunch from the nuts and seeds in this muesli and the warming vanilla scent, it pairs beautifully with the apples. Plus leftovers = the most amazing breakfast ! You’ll be able to find this recipe and a couple more (Dukkah Tempeh bowl and Healthy Wagon Wheels) in their Winter Warmers Ebook here, so exciting ! I got the idea to add lemon and thyme from the amazing Emma Galloway and her latest cookbook, A year in my real food kitchen. So much inspiration in those pages. Play some music and turn to oven on – doubles as a heater 😉 and start chopping up some apples. Only good things will come of it, cue amazing smelling house and happy tummies.